Mohammad al-Asi is a Muslim Imam active in the global Islamic movement and involved with the Crescent International news magazine. 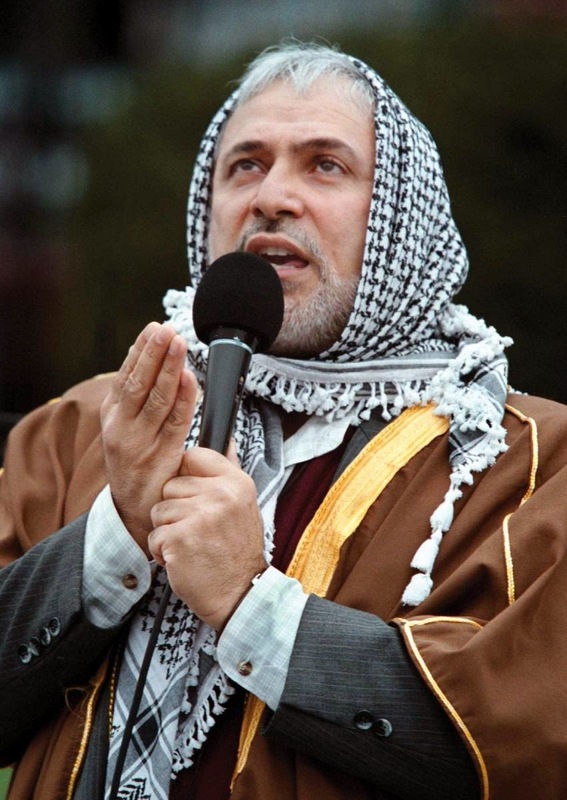 He also claims to be associated with the Islamic Center of Washington, D.C., but was, in fact, expelled in 1983; the Islamic Center denies any connection to him, though al-Asi still holds Jumu’ah khutbahs every Friday on the sidewalk in front of the Center. Al-asi is perhaps most famous as a 9/11 truther, and has claimed that the 9/11 attacks were “planned were planned by the American administration, to be used as a pretext and justification to fight terrorism.” al-Asi has accused Israel of carrying out the WTC attacks after the U.S. refused their request to put down the Palestinian intifada, though it is, ultimately, somehow the fault of the US, who “fabricated the racist state of Israel in our Holy Land”. He even offers some “evidence” (PRATTs) for Israel’s “macro-managing” of the events that should be relatively familiar to those who have engaged with 9/11 conspiracies. Diagnosis: Religiously motivated conspiracy theorist. Though al-Asi’s influence is probably rather limited, religious fanaticism and conspiracy theory is a powerful combo. Should be watched. The only surprising thing: is he an American citizen?